Vue.js has many peripheral technology products such as Vuex and vue-router, those libraries can also work well on Weex. NOTE: Weex is using native navigator to manage instance pages, the context of them are isolated. That means, Both Vuex and vue-router can only effect the single page, they can't share state between different pages. Vuex is a state management pattern + library for Vue.js applications. 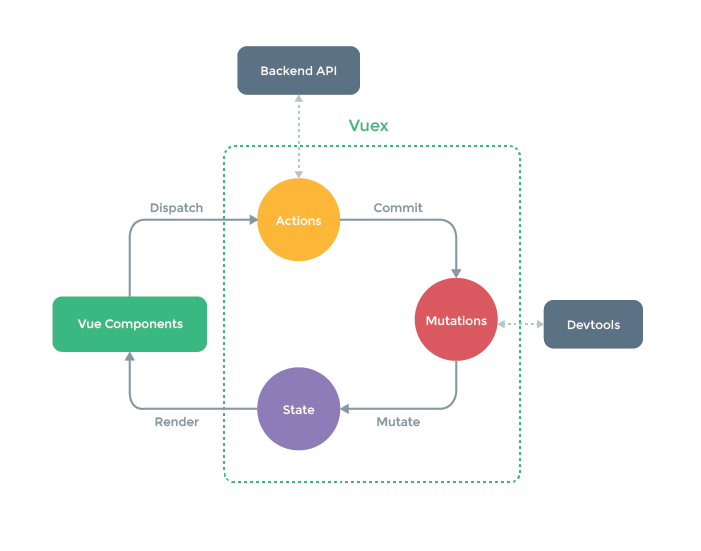 It's also a library implementation tailored specifically for Vue.js to take advantage of its granular reactivity system for efficient updates. It serves as a centralized store for all the components in an application, with rules ensuring that the state can only be mutated in a predictable fashion. Creating a Single-page Application with Vue.js + vue-router is dead simple. With Vue.js, you are already composing our application with components. When adding vue-router to the mix, all you need to do is map your components to the routes and let vue-router know where to render them. However, there are many differences between web and Android or iOS, some features of vue-router are limited in Weex. history: requires HTML5 History API and server config. See HTML5 History Mode. Obviously, hash mode and history mode are only available on the web, and have no effect in Weex. In other words, you can only use abstract mode in Android and iOS. However, vue-router will automatically be forced into abstract mode if no browser API is present. So, just don't set the mode option, or set it to abstract. vue-router use <router-link> to create a navigation link, but in which, some features are based on the DOM events and it doesn't work well in the native environment. In Weex, you must use the Programmatic Navigation to manage the router.